We are excited to stock this fundraising necklace for Modern Muse, the charity working to raise aspirations, smash stereotypes and shift social expectations for young women in education. This Treble Clef necklace was designed with the charity's Youth Ambassadors and Mantra, to create a piece to uplift and inspire. 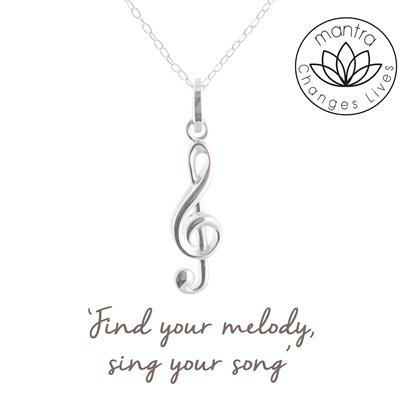 The mantra, 'Find your melody, sing your song', represents the idea that young women should be encouraged to be themselves and find their own voice in the world. 25% of the sale of each Treble Clef necklace is donated to Modern Muse to help fund their amazing work. This necklace makes a thoughtful, meaningful gift that gives back.